This beautiful WordPress website is built together with Adelaide Advertising. Carolyn contact Website Adelaide for a new responsive and modern looking ecommerce website, a website shop. 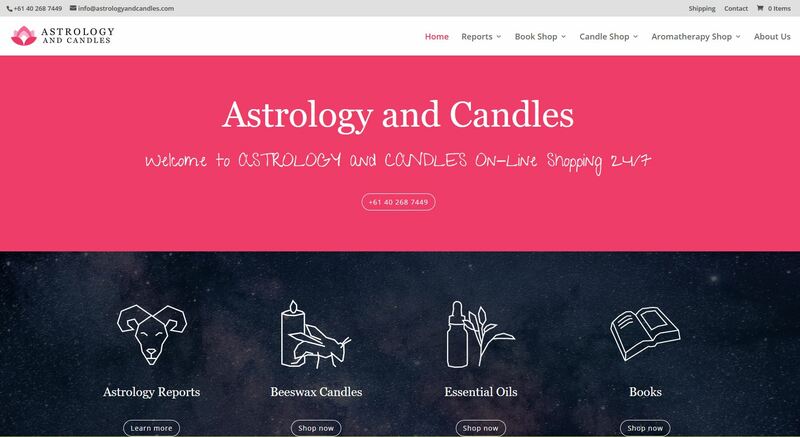 She already had a Candles website and wanted to combine it with her passion and expertise in Astrology. She wanted to be able to work with the content herself and be able to add products and keep updating the website. Adelaide Advertising created several graphic illustrations and the new logo for Astrology and Candles. Customised and extensive form / order forms, like this Natal / Astrology report.